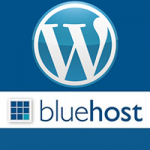 BlueHost have 4 managed WordPress hosting packages, all have add-ons and upgrades available. These 4 packages are known as Blogger, Professional, Business and Enterprise. Whatever your website contains, it’s simple to work out what package is right for you with these simple package titles. The retail price of the BLOGGER package is $34.99/month, PROFESSIONAL $74.99/month, BUSINESS $119.99/month and ENTERPRISE $169.99/month. The longer you sign up for, the lower the price. Another handy discount bluehost are offering is 50% off the first month, people signing up through the banner below are able to subscribe at a price starting at BLOGGER $17.50/month, PROFESSIONAL $37.50/month, BUSINESS 60.00/month and ENTERPRISE $85.00/month. More features available include 1 free domain name in any managed wordpress hosting package, free advertising credits and also a generous anytime money-back guarantee! This entitles customers a full refund after just a 30day notice period, at any time of the package contract. Built on the BlueHost VPS platform, server resources differ depending on which package you choose. The availability of RAM, disk space, IP address, security feature and other information regarding performance can be found in the table above. BlueHost have cleverly integrated custom design tools in a customised and optimised cPanel, which enables webmasters like us to easily manage and maintain WordPress sites and blogs, emails, domains, site security, statistics and a whole lot more. High Performance is achieved on the managed WordPress hosting due to advanced NGNIX architecture. What does mean? NGNIX architecture focuses hugeley on better performance and less memory use therefore accelerating a WordPress websites speed. W3 caching is integrated as standard to reduce server requests, also making improvements on speed. Its not just speed though which is amplified, BlueHost offers SiteLock globally-distributed CDN for free on the packages, improving sites user experience, web awareness and SEO. Instant provisioning. Making use of OpenStack, BlueHost will get your server up and running within seconds of setting it up. Dynamic upgrades. Bluehost offers many customisations, allowing the user to add CPU, RAM and SAN storage whenever the need arises, which allows full flexibility to adapt and change to keep up with trends and performance increases accross the web. Enhanced security. Every WordPress site or blog has dedicated backups for peace of mind, SiteLock security and advanced CDN for a full security package. MOJO Marketplace integration. Easily find and install plugins, scripts or even themes to customise websites in simple stages saving developers and bloggers valuable time. How much bang do I get for my bucks? The big question is “Do I get good value for money?”. 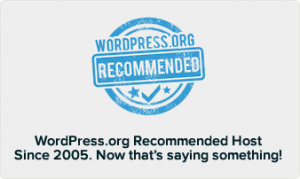 Pixelloop personally recommends BlueHost managed WordPress hosting to bloggers, organizations and companies who want to push there companies and keep up with the times. 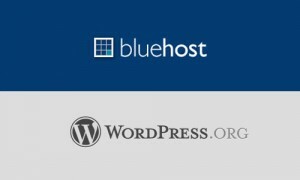 Bluehost always seem to deliver and do so at a very competitive price. After all, Pixelloop.org is hosted on Bluehost Servers. I can speak from experience when I say that their technical support and customer service are excellent and very helpful, this support is given with all managed wordpress hosting customers. Developers have great experiences with the power and features offered, and there is always a refund is available if you find it does not suit you. Click the below banner to find out more. If you have any questions at all or want to get started on your WordPress website or other marketing tasks then click the button below.